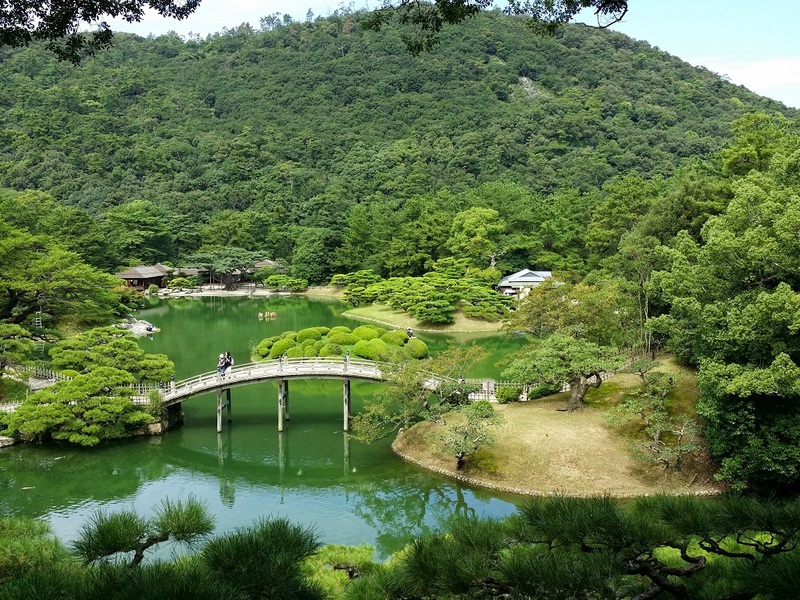 If you’ve heard of Takamatsu, you’ve probably have heard of Ritsurin Garden. However, what you may not know is that the artificial hill where you’re standing enjoying this view is called Hiraiho. And the bridge, the most famous in the garden is called Engetsukyo. That was the trivia of the day.